Today, my son and I head to Dallas for the IberCup. 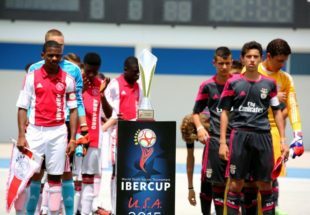 IberCup is an international youth soccer tournament that draws top clubs from the U.S. and around the world. Over 70 countries have been represented over the years and youth teams affiliated with top clubs like Atletico Madrid, Juventus, Liverpool, Manchester City, and PSG often enter. My son’s club, Continental FC (CFC) is fortunate enough to be entering two teams (2008 CFC Dortmund Black and 2008 CFC Dortmund White) to this year’s tournament. When I played youth soccer, orange slices at halftime were a major highlight. (I wasn’t ready for prime time at age 8.) This Wednesday, my son Justin and his teammates take on a team from Mexico to open up tournament play. Times have changed. Over the course of the next week, I’ll be sharing highlights from the tournament, games, peripheral experiences, and any other interesting observations I come across. But first, a little background to help set the stage. My son, Justin, formally joined Continental last spring after playing two years of travel soccer for our local club (AYSA) with dad as coach. The 2008 Dortmund team brought together about 25 very talented soccer players from all around the Philadelphia area. Some already played for CFC, while many more switched over to join the U9 team last year, shortly after U.S. Soccer made the move to calendar year-based registration. The team has access to high-quality coaching, a wide variety of training locations, and the benefit of being closely aligned with YSC and Union youth programs, including Union Futures and the Union’s Player Development Program. Many players from the 2008 group are expected to join the new “Union Juniors Pre-Academy” program this coming season. Our group will be based out of an official tournament hotel, with shuttle service to the various fields, and all meals included as part of the package. I was surprised to see only one game per day for most of the tournament so there will be down time for side trips or scoping out higher profile teams. (Atletico Madrid and Liverpool have teams here this year.) While our pool includes a team from Mexico, other pools in the 2008 age group include a team from South Korea and one from Columbia. I am hopeful for some amazing memories and experiences ahead, and still a bit in awe of the opportunities Justin and his teammates are being offered through this amazing game. It’s exciting, a bit overwhelming, and we’re very much ready to get started. I’m confident the players are ready to go (they just hosted some top U9 and U10 teams from the mid-Atlantic region for warm-up tournaments at home), and, hopefully, I’m at my optimal performance this week too. The plan is to share some insight as to what a large international youth soccer tournament experience is like for both kids and parents. My laptop is packed, along with a tablet in hand to capture running commentary, and my phone to capture some interesting shots. More to come mid-week. Ah, my home town. Please enjoy the craft beer – Lakewood Brewery is a nice local beer as is Deep Ellum. Shiner is a classic. Thank you! We’ll be on the lookout for Lakewood! I went to Spain with the 05 Continental team last year. You and your son will have a lifetime of memories. Enjoy and good luck. We watched one of these teams play at YSC this Winter. They are amazing and sure to do well. Robert P is on my son’s CFC 05 team so we cheer for his little brother. Good luck!